Novelist, YA fantasy series in development right now! Stay tuned! Based on the fourth book of Virgil’s epic poem The Aeneid, this expanded adaptation of Purcell’s short opera tells the tragic tale of Dido, Queen of Carthage, and her year-long affair with the Trojan hero, Aeneas. As their lives are manipulated by the gods in the name of Aeneas’ fated future and the gods’ own agendas and petty rivalries, the two are torn apart, with devastating consequences for Dido and Carthage. Includes additional material from King Arthur, The Faerie Queen, and more. I’ve often joked that our workshop’s unofficial motto is “If they didn’t want us to mess with it, they shouldn’t have died.” The extreme impertinence really is a joke. I wouldn’t have made a life out of introducing teenagers to this material if I didn’t think it was enduringly brilliant, rich, and well worth their while. But the truth at the core of the joke is that I do believe that a sense of reverence for “classic” works often has the effect of sucking the life out of them, and a vital part of my mission to make these works relevant to young people is to treat them not as untouchable museum relics, but rather as living works of art that are inherently collaborative in nature. Back when composers like Purcell (or Handel, or any of the baroque masters whose work is approachable for younger voices) were alive, they changed their works all the time to suit particular audiences or popular singers of the day, so I feel that it’s very much in the spirit of that culture that our workshop routinely adapts the operas we produce for the singers at hand. In our case, the adaptations we create are at least as much for our teens as human beings as they are for our teens as singers. Yes, I’ll adjust keys or octaves to suit the voices at hand, but what of their voices in the metaphorical sense? It is for these voices that I work with my students to imagine a version of a narrative that suits their sensibilities and their worldview—to dig deep into these very old works and find the stories they want to tell. With Dido and Aeneas, there were a number of factors I considered when adapting it for this group of teens. From a practical standpoint, the original opera is less than an hour’s worth of singing, which felt honestly scanty compared to the last couple of operas we’ve done. Additionally, some of the characters and relationships seemed gravely underwritten, particularly the relationship between the title characters. Most importantly, I couldn’t push away the discomfort I felt about producing an opera whose female lead, despite being a powerful queen, would end her own life because she got dumped by her boyfriend—one she’d apparently known for about a day, no less! Regressive sexual politics are pretty much the norm when you’re steeped in material from the 17th century (or older), but was this really a story we wanted to tell? To explore solutions, I turned back to Virgil’s epic poem The Aeneid, the fourth book of which is the basis for the opera’s libretto. There, I found a tale no less tragic, but one in which the gods thoughtlessly manipulate humans on earth to satisfy their own grudges and play out their petty rivalries. It was brutal, rage-inducing, and difficult to read. It was also undeniably, painfully relevant to our lives. This was a story we could tell—one with real meaning, not just for me, but for my students. The resulting adaptation is a mixture of Purcell’s story and Virgil’s, with a few adjustments of our own design. King Iarbas, for example, whom Virgil depicted as a scorned lover of Dido’s, in our adaptation is a former lover of Aeneas, thanks to my students’ persistent calls to queer up the material. But since Virgil also had the lack of foresight to die, can this really be our fault? (Insert wink emoticon here.) On a more serious note, it’s unfortunate that stories like this, about those in power abusing others for their own personal gain, have failed to become irrelevant. But that’s also why it is important we continue to tell them. I hope you’ll enjoy this one. In 2016, Act Too Studio Opera Workshop embarked on a special project, Il sogno d’Arianna, a full-length, original narrative adapted from the works of 17th-century composer Claudio Monteverdi, woven from excerpts from his operas, madrigals, and other works. In addition to L’Arianna, the piece includes excerpts from Monteverdi’s L’Orfeo, as well as pieces from his 8th book of madrigals and selected Scherzi Musicali (“Lamento della ninfa,” “Il combattimento di Tancredi e Clorinda,” “Zefiro torna e di soavi accenti,” “Chiome d’oro“ and many more). For this project, the Workshop created its own new editions of these works, including new English adaptations by director Melinda Beasi and Sylvia Simmons, and arrangements adapted specifically for its teen singers. Written for 11 singers and 2 dancers, alto, mezzo, and soprano voices. Twitter reaction from international opera star, Joyce DiDonato. 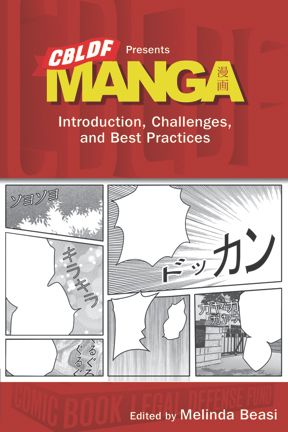 Summary: “Made possible with a grant from the Gaiman Foundation, CBLDF Presents Manga is a handbook designed to provide a concise and informed overview of manga—its history, genres, and issues. This educational work delves into the history of manga, its major demographic divisions, its most significant creators, and the challenges it has sometimes faced in North America. Summary: Young editor Muguruma has his hands full with high-maintenance mystery writer Yuri, whose outrageous demands and reluctance to meet deadlines have become infamous at Sogendo Publishing. 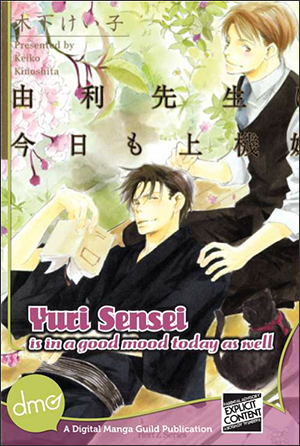 But even patient Muguruma is not prepared for the confusion he feels when bad-tempered Yuri tries to woo him. Do his feelings for Yuri run deeper than simple respect and admiration? Set in post-occupation Japan, this meandering love story is as moody and charming as Yuri-sensei himself. Yuri Sensei Is In A Good Mood Today As Well – Yuri Sensei To Itoshiki Hibi © Keiko Kinoshita. Original Japanese edition published in 2009 by Taiyoh Tosho Publishing, Co., Ltd.
Summary: Following a tragic childhood accident, Mitsuki Etou gained the power to read the thoughts of others using only the touch of her right hand. For most of her life, this gift has been a curse, granting her unwelcome access to the dark truths behind people’s smiles. But when a chance meeting with a troubled co-worker throws Mitsuki into the middle of a murder plot, she can’t just let tragedy unfold on its own. Can Mitsuki intervene without revealing her secret? 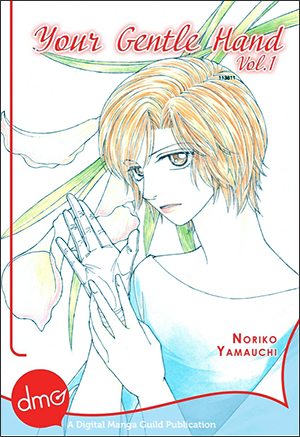 Your Gentle Hand – Kimi no Yashashii Te © Noriko Yamauchi. Original Japanese edition published in 2010. Digital contents under license from ShusuishaORIGINAL. Freelance Blogger – Comic Book Resources’ Comics Should Be Good, PopCultureShock, The Hooded Utilitarian, Flashlight Worthy Books, Comics Worth Reading, The Comic Book Legal Defense Fund blog , The Beat, and About.com. Editor-in-Chief, managing a network of five bloggers, 15-20 active contributors, and occasional guests to produce a broad selection of content, including reviews, roundtables, breaking news, recommendations, essays, and other articles; content management; web design; technical maintenance & support; networking with manga publishers in North America and Japan by e-mail, phone, and at conventions; pursuing ad revenue and other funding for the site; tracking page views and visitor demographics to analyze readership and optimize content; actively engaging with and seeking feedback from readers and industry professionals via e-mail, site comments, and popular social media platforms.